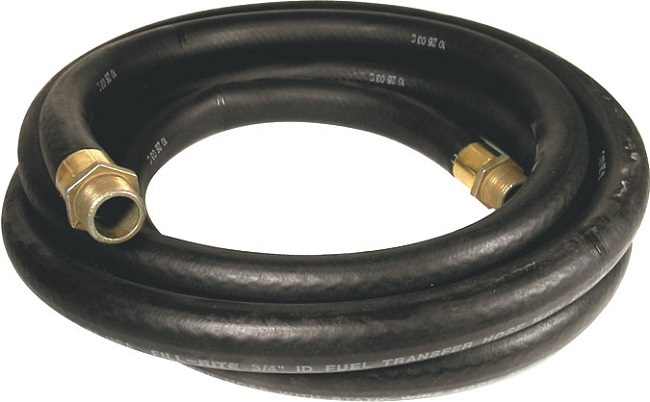 Transferring fuel from one place to another is done through a hose – a fuel hose. It might be from a storage tanker to a vehicle or from any one point to another. This is used inside engines for transferring the fuel from the storage tank to the engine. Since you will find that most of the supreme quality hoses are equipped with more elasticity and longevity, you can definitely try to use them for different occasions. The internal rubber padding in these hoses are furnished with anti-static elements, which makes it a bad conductor of electricity, and the chances of any accident or electrical hazard in gradually minimized. There are a wide range of fuel hoses available for car or boat or trucks or anything which requires the fuel to be sent from the storage to the engines. Each vehicle with have its own length and the length of the hose will depend on this. There are also different advantages that you get from a normal fuel hose, and from a braided hose. Braided hoses do not suffer from the same amount of wear and tear, especially like rubber hoses do when they come into contact with chemicals or some other types of components very different from rubber. If at all you need to replace a fuel hose, please do ensure to follow all the necessary safety precautions. It is advisable to take the vehicle to a licensed mechanic instead of attempting to change them yourself. You can benefit from the idea that a fuel hose made in the form of braided steel smells when fuel is passed through it, but this does not happen in case of Teflon hose. You can purchase a new fuel hose from an authorized automobile supplier. There are many materials available for you to select from. There are hoses designed for use with gasoline, ethanol, methanol or diesel. The resistant temperature also needs to be checked. The material should be such that they should not break down from constant contact with fuel. If you suspect a fuel leak, and want to check the fuel hose, ensure you disconnect the battery to prevent any fire hazard. Also, please do put away all cigarettes. A fire extinguisher near-by is a blessing. If you have a car with an engine in the front, the fuel tank is generally under the floor which is usually worn out. There are also different materials of hoses in different vehicles and different vehicle sections. Some are steel, some are plastic, and some are rubber. If you are dealing with a twin piping system, meaning the fuel is constantly pumping up and down in a circular motion, there is a need to be extra careful when removing the fuel hose. With the advancement in the automotive world, the fuel hoses are available in a variety of materials and the clips and clamps are also equally important. A reinforced rubber hose is the most common of all and is able to withstand pressure and resistance. There are hoses made to withstand very high and low temperature. Heavy duty hoses are also available. The size, the length is all dependent on the type of your vehicle. You must always choose a hose depending on your requirement, but make sure to buy these only from certified dealers. What are the different types of durable hose? Neoprene fuel line, Nylon fuel line, tygon fuel hose are all some of the very durable hoses available. Standard rubber hose should be avoided as they tend to deteriorate from inside and will clog the fuel filter. Though you may find the above expensive, due to their durability, they last longer and are safer. With warranty, flexibility and durability, they do last for several years depending on your usage and maintenance.